I know that each time you collect a piece of art that touches your heart or mind in some way, it’s an exhilarating moment. You just chose to add some beauty to your life and space. You own a piece of artwork. Congratulations! This guide will introduce you to a few different framing options that cater to different budgets and styles. As you read through it, you’ll likely get excited about one method over another. The method that most excites you is probably the framing option that fits you best! 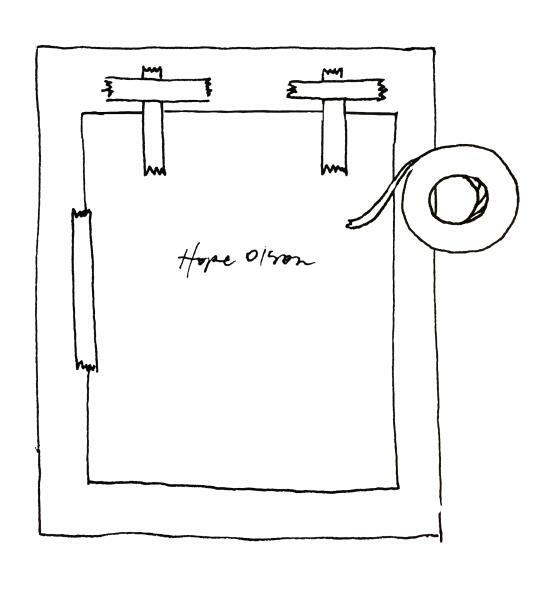 My hope is this guide helps you gain confidence in framing two-dimensional original artwork and prints in frames you think are gorgeous while also spending according to your budget. Mat: A paper-based material mounted around the picture to provide a border between the picture and the frame. Glazing: The glass or acrylic glass (i.e., Plexiglas) that secures and protects the picture within its frame. Framer’s Tape: An acid-free adhesive tape used to attach the picture to the mat. Sawtooth Hanger: A hanger used to hang smaller frames on the wall. D-Rings and Wire: A hanger used to hang medium and larger frames on the wall. I advocate for a mat for a couple reasons. First, it adds plain space around the art, giving lovely visual breathing room for the framed image. Secondly, it makes the overall framed work larger—glamorous! For prints, mats are an aesthetic choice, but for original works on paper, they are usually imperative. When a mat is mounted around the artwork, it provides just enough thickness to separate the artwork’s media (i.e., paints, charcoal, graphite, etc.) from touching the glass, which better preserves the art in the long run. Make sure this applies to the mat, the backing board, and the framing tape. Because of the warmer tones I like to use in my paintings, I often frame my prints in vintage frames with antique gold hues or in contemporary wooden frames with warm undertones. It doesn’t matter that one frame is an older style and one is a newer style, it’s the warm colors in the frame that are what make the image pop! Number of style options: A ton! Take your art to a local frame shop, select a frame and mat from their samples, they build a custom frame for you, they assemble your framed artwork, you pick it up at the shop, and it’s ready to hang. If there were to be an “easiest” method for framing your print, this is it. After you and the framing specialist work together at the shop to pick out a frame and mat, the framer takes care of all the remaining steps to build the custom frame and assemble everything. The quality of the materials is the best you can get, so frames will not warp over time, mats will not fade, and you can trust your art will be best-protected in these frames. Understandably, this method is the most expensive, but it yields incredibly lovely results. There are custom framing shops in most towns. Ask your friends who they have used or look on a search engine to learn which shops come most highly recommended in your area. Visit a custom framing website, select your frame and mat, ship the art to them, they build a custom frame, they ship your framed artwork back to you (ready to hang)! You can hire an online custom framer to do nearly the same process as a local custom framer (see Method 1 above for many of the similar benefits). A difference with the online method is that you do not have quite as many style options and you cannot see samples of the frames and mats in person. The cost will be slightly less than a local framer because the online framers offer fewer styles and serve a high volume of customers, so they are able to buy wood and mats in bulk. Since online custom framing is a newer industry, the styles are very current and classy. Depending on the online framer, you will want to take into account the additional cost of having your custom frame shipped. Because shipping a product with real glass is risky and expensive, online custom framers use UV-filtering acrylic glass (like Plexiglas) for the glazing instead of glass. Simply Framed, Framebridge, and Framed and Matted are a few reliable online custom framers. Purchase a new, used, or vintage ready-made frame, bring the frame and art to a local custom framer, select a mat from samples, the local framer cuts a custom mat and assembles the framed artwork, you pick it up at the shop, and it’s ready to hang! This is my personal method for framing. You can pick out lovely vintage frames at antique stores and thrift shops, or you can select new frames from local or online retailers. It’s important to make sure that your frame is larger than the artwork image so that a mat can occupy a few inches of space on all sides. When you bring your ready-made frame into the local framing shop, you can select which color of mat will most complement the frame and art. Ask the framing specialist to not only cut the mat but to also assemble the framed work (attach backing board and install hanging hardware). A few brick-and-mortar and online retailers that sell stylish, ready-made frames include Target, Michaels, West Elm, Restoration Hardware, and Pottery Barn. P.S. If you find a used or vintage frame and its glass is in bad shape, home improvement stores usually can cut a custom piece of glass for a great price. Purchase a ready-made frame that already includes a mat; purchase framer’s tape, and assemble the framed artwork yourself. I almost didn’t include this method in the guide because when you buy a ready-made frame that already has a mat inside, you can’t always be sure the mat board is made from acid-free materials. Acid in the mat board can change the chemical composition of the artwork or print over time, yellowing the image and diminishing its clarity. However, I understand that sometimes you are in a pinch and you need a short-term solution for framing the art. You can find ready-made frames that have cut mats included with them at many of the retailers listed above in Method 3. Make sure that the opening size of the mat (rather than the overall frame dimensions) matches the size of the artwork. I currently sell my prints on paper in standard sizes like 11x14”, 12x12”, 11x17”, 16x16”, & 16x20”. When you are taping, make sure to attach the back of the art to the back of the mat with 2 T-hinges (+ 1 optional side strip). See drawing. Also, cleaning your glass on both sides with glass cleaner or vinegar makes a world of difference for a dazzling final result! I hope this framing guide helps you feel more confident about how you want to frame your new artwork and what resources to tap to help make it happen. Through some experimentation with different styles and methods, I have learned that framing is not complicated. Rather than being a stressful project, framing art and prints is actually enjoyable for me now. I hope that you, too, find it fun to pick out the perfect frame that complements your new art piece. May your artwork bring you joy for years to come!